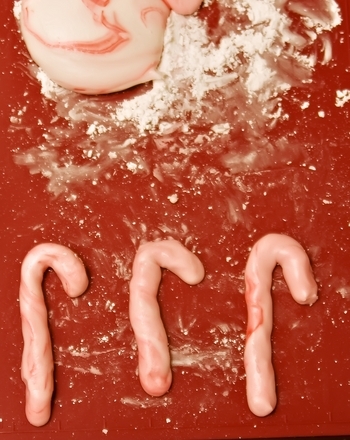 Homemade candy canes are a sweet gift for your friends and family. Marbled candy canes are a traditional winter festival gift that looks good poking out of the top of a Christmas stocking, tied to a tree with ribbon, or adorning a beautifully wrapped present. 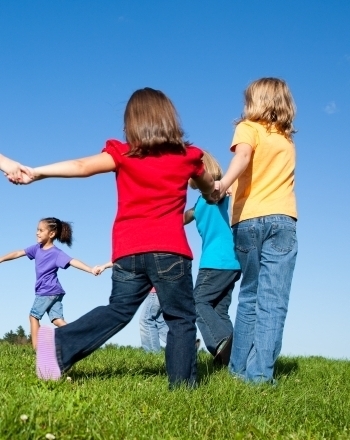 They are the ideal gift for brothers and sisters, and can be easily made as a holiday activity for four- to six-year-olds. 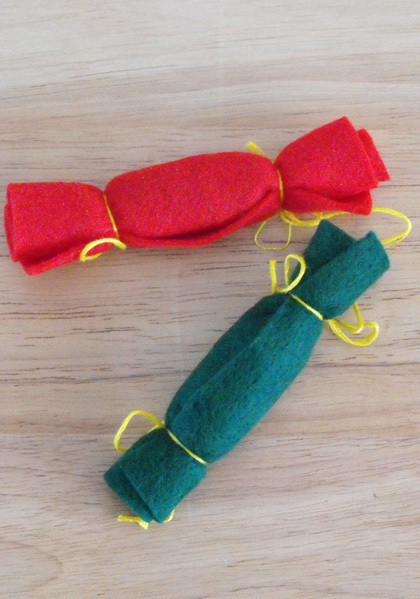 Make homemade candy canes with your child this Christmas. Stir the mixture to a smooth paste with the spoon, then add the peppermint essence. Don't add more than 2 drops. Add the red food coloring. Be careful not to add more than 1 drop. Transfer the mixture onto a pastry board lightly dusted with powdered sugar. Gently knead the colour into the mixture, without mixing it in completely - keep the colour looking nice and swirly. Set the paste aside for 10 minutes. 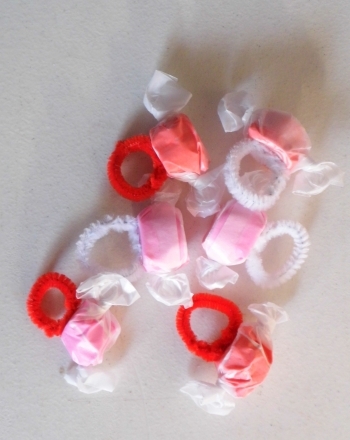 Pull off 1¼ in balls of paste and roll on the board into lengths about ½ in thick. Bend over the top of the canes. 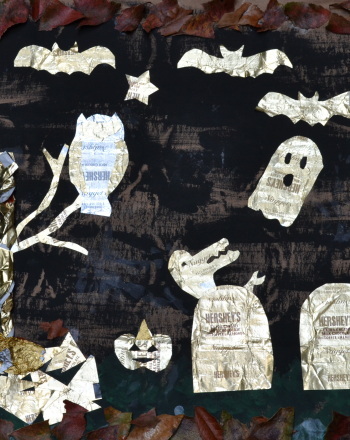 Set aside on a sheet of baking foil to dry overnight. 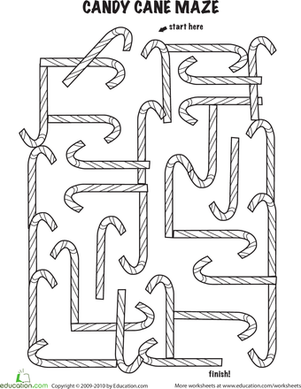 In the morning, your candy canes will be ready to wrap. 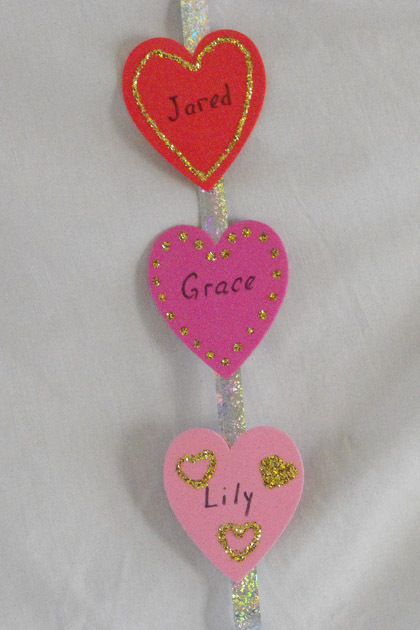 Don't forget to tie a length of ribbon around each cane to finish it off. Voila! A super sweet gift...Literally! 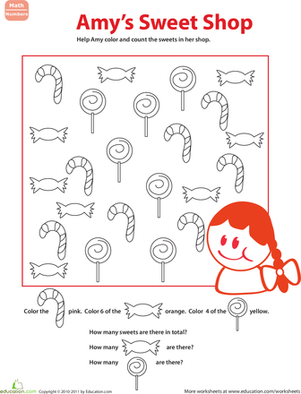 Complete with candy canes and jingle bells, this is one merry coloring page! 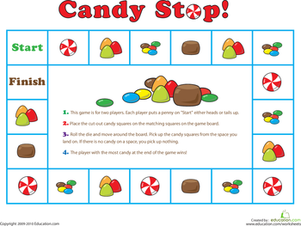 Candy Stop is a fun printable board game that will entertain your kindergartener and help him practise counting, too!